One of the best parts about being a parent, in my opinion anyway, is that it allows me to re-experience all of the magical parts about being a child. Whether it’s helping my daughter put cookies out for Santa, listening to her yell ‘trick or treat? !’ on Halloween, or watching her hunt for Easter eggs, there never seems to be a shortage of things to look forward to, and now that she’s in full day school, there are a host of other things we get to do together as well. 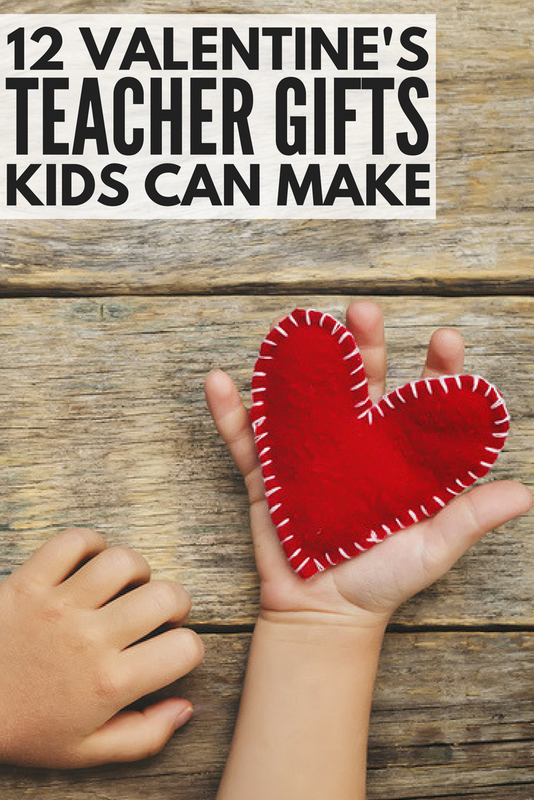 Like making Valentine’s Day teacher gifts to show how much she loves and adores all of the important people who come together each week to help make her life at school as fun and challenging as possible. Last year I took the easy route and we made up Valentine’s Day gift bags together, but this year I want to make something a little more personal. And let tell you this: there is no shortage of Valentine’s Day teacher gifts on the Internet. I found all kinds of fabulous ideas, most of which involved printing out pre-made labels bloggers are offering up for free and then attaching a lip balm or gift card or bag full of treats. But now that my daughter is older and her attention span has grown, I want to make something a little more unique. It took a bit of time to find ideas I felt her teachers would appreciate, and now I feel torn. There are so many fabulous crafts to choose from, I’m not sure I’ll be able to pick only one! At the end of the day, your child’s teachers will appreciate anything you give to them, but my hope is that these Valentine’s Day teacher gifts will inspire you and your little ones to get your creative juices flowing so you can show just how much you love the teachers in your lives. If you liked this collection of Valentine’s Day teacher gifts, please share it on Pinterest!